With the beautiful weather we have had the past couple of days it is hard to remember how day one started for these groups. 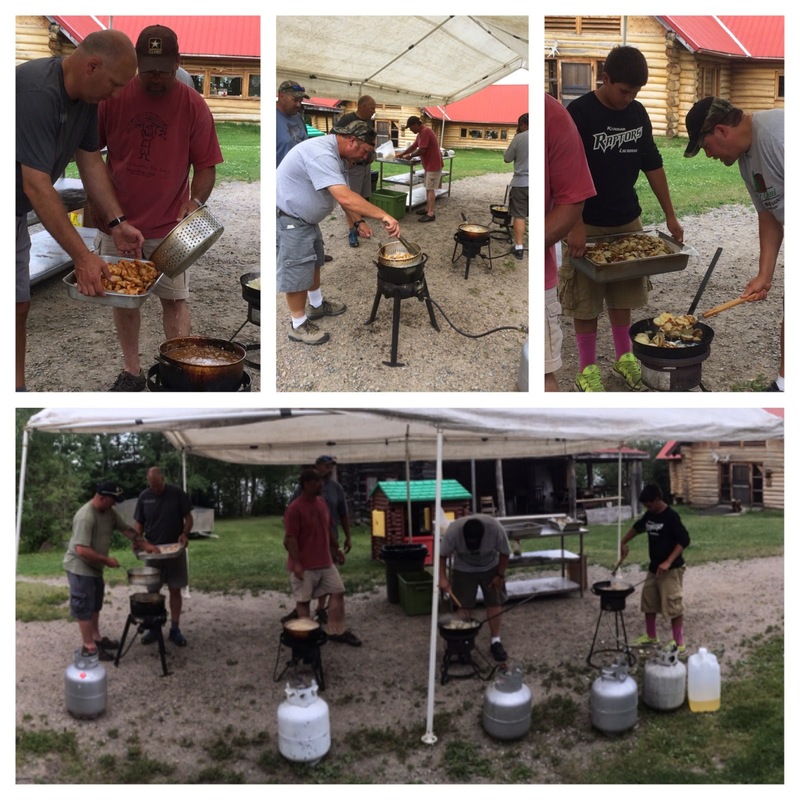 They arrived at camp around noon (as most groups do) and unloaded their vehicles and got ready for orientation.The weather was clam and comfortable. By the time we were done with our orientation and the groups got their gear in the boats, the wind picked up ALOT and was steadily blowing from the Northeast at 20 mph. A couple of brave souls went out before dinner but by the time dinner was over the storm from was over camp. Extremely high winds, rain, thunder and lightning which lasted well into the night. Needless to say, nobody went out in the boats on that first night. Since that day. we have had very comfortable weather with gentle North winds and temps in the 70's. The forecast is for continued nice weather with temps touching 80 degrees. That crazy weather day one will be a distant memory for this week's guests by the time Saturday rolls around. As for the fishing, there has been a consistent number of smaller walleyes being caught, but not too many big ones. The pike fishing has also been a bit slower than normal for this time of year. 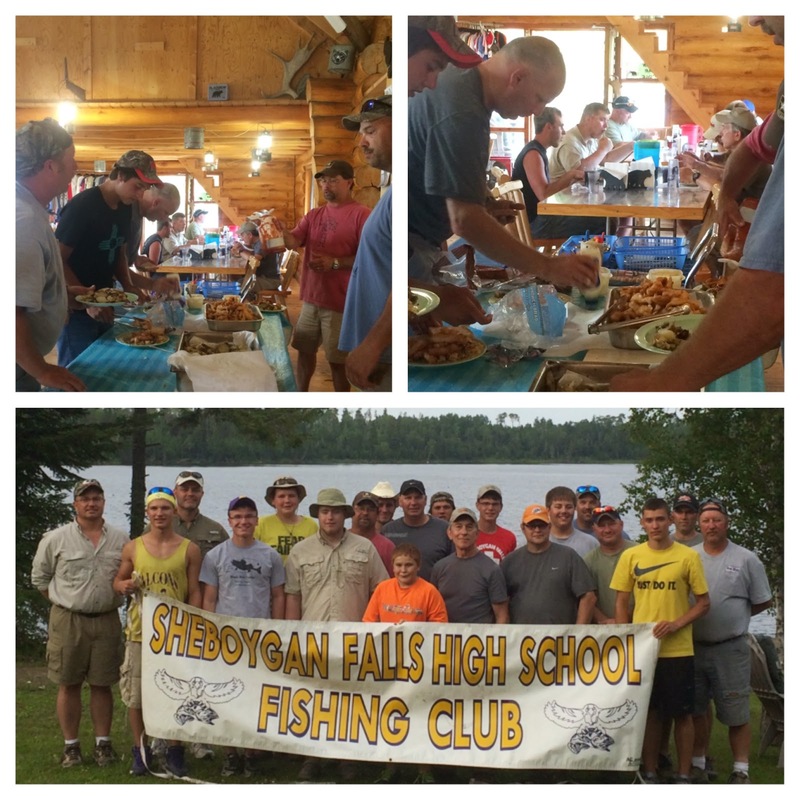 The groups did manage to catch more than enough eater size walleyes for tonight's all camp fish fry. It was very good!!! The only trophy fish landed so far came from Chris. He landed a gigantic 46" muskie that probably weighed close to 30 lbs. WOW! !